What happens when technology meets the game of football? From tracking players’ movements across the pitch, to using data to analyze opponents game plans, or using the cloud to make sure fans across the globe never miss a moment, technology has had an impact on “the beautiful game” in more than one way for many of the participants in this year’s tournaments. Across the region we are partnering with teams and organizations to take the game of football to the next level for both teams and fans. Take a look at some of the ways technology is giving all of those who love football a chance to do more. Recent European champions Real Madrid uses the cloud to transform their organization in multiple ways. With nearly 450 million fans across the globe, finding a way to connect with them all is not an easy task. Built on the cloud, Real Madrid is using data to connect with its millions of fans by creating a virtual stadium where fans can enjoy the match without having to travel large distances. And that’s not all they’re doing with technology. Fueled by a passion for sports, the Real Madrid Foundation along with Office 365, looks to help kids across the globe with social and personal development through connected apps and services. A “Passion Powers Passion” mentality looks to prove that passion can change the world and sports are more than just a game. Exposing these kids to technology will help build IT skills and create more opportunities for them in the future. Some Real Madrid players, like Marcelo Vieira, are going above and beyond to help create opportunities for kids with tech. Liverpool F.C. is another major team, not just within Europe but globally, using technology to reach more of its fans across the globe. Through a partnership with Skype, fans of The Reds came together to create a unique chorus of “You’ll Never Walk Alone”. In addition, fans could use the hashtag #LFCtogether for a chance to have their video message displayed on pitch side screens. A dream trip to Anfield, Liverpool F.C.’s home stadium, match tickets, signed merchandise, and chances to chat with past and present LFC legends are all other examples of how the club is using Skype to better connect with fans. SALZBURG,AUSTRIA,19.MAR.17 – SOCCER – tipico Bundesliga, Red Bull Salzburg vs FK Austria Wien. Image shows CEO Stephan Reiter, Andreas Ulmer and sports coordinator Christoph Freund (RBS). Photo: GEPA pictures/ Felix Roittner – For editorial use only. Image is free of charge. In Austria, FC Red Bull Salzburg are kicking off their digital transformation with the help of the Microsoft Cloud. With the help of smartphones, and the security of the cloud, the front office is able to easily and efficiently work through their daily tasks such as responding to emails, sifting through different sales reports or finalizing their schedule for the day. Built on the Microsoft Dymanics 365 platform, collaboration between departments is a simple. The team is also taking full advantage of Skype for instant discussion and resolution when something unexpected crops up, and it comes in particularly handy when working across different time zones, especially when keeping in touch with talent scouts on the other side of the world, with instant access to the FC Red Bull Salzburg Academy database. For more information, please visit Microsoft News Centre Austria (in German) and FC Red Bull Salzburg. Recently announced, Real Sociedad is beginning their digital transformation with the help of Microsoft Azure and other Microsoft technology. This digital transformation will bring more personalized experiences for fans like; 3D and virtual reality experiences including a 360º view of the pitch, digitalized ticketing through smart phones and wearable technology, and innovative content and services for all fans, inside or outside the stadium, on any type of device. In addition to these new experiences, the Real Sociedad Foundation will look to provide members of the city of San Sebastián with a communication and collaboration platform based on Office 365. More than 90 schools in Guipúzoca and 70 affiliated clubs will benefit from these collaborative tools so teachers, coaches, and players can enjoy a new way of interacting while simultaneously driving more interest in the sport and club. If you’d like to see more of Real Sociedad’s digital transformation then follow this link. See how Microsoft is helping to bring 1.6 billion fans closer to LaLiga action here. Due to uncertain circumstances across Eastern Ukraine, FC Shakthar Donetsk was forced to leave its base city of Donetsk and essentially set up remote operations in different locations across Ukraine. With different parts of the organization spread out geographically, the club looked to Office 365 and Microsoft Azure to meet all their business needs and keep team operations running smoothly. These aren’t the only examples of clubs or organizations using technology to advance the game. 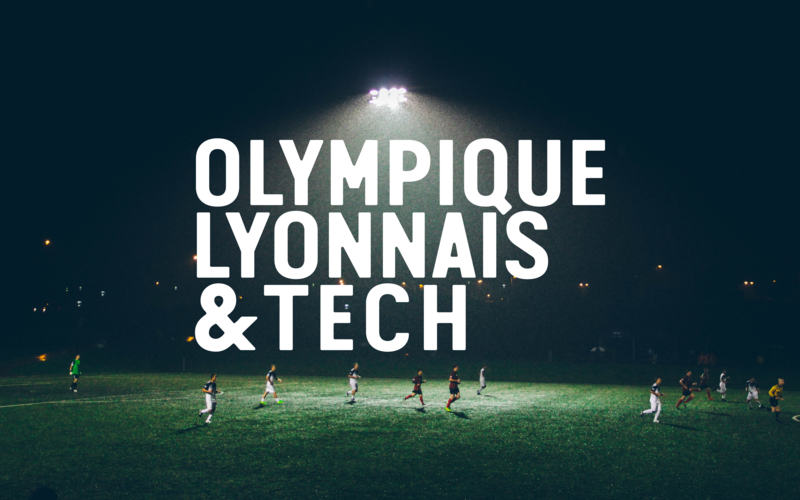 In France Olympique Lyonnais relies on Azure and Open Source to keep its home stadium better connected for supporters and businesses alike. In Norway the national team is using Microsoft Power BI analytics to collect data on the team’s performance. This data can then be used to adjust tactics and help the team perform better. In addition, they are trying out the use of IoT and wearables to help make decisions on selections and when to make substitutions. The goal of implementing all this technology is the hopes of qualifying for major competitions. In Sweden, Malmo FF is taking advantage of all the benefits Power BI has to offer to help their chances in major European competitions. To better assist their football academies they opted to switch to Office 365 in order to manage personnel and keep everyone within the organization connected on all types of devices. If would like to read more about how Malmo FF is implementing technology check out this article in Swedish. Off the pitch, Russian club FC Spartak Moscow pride themselves on their customer relations and innovation. The teams home field also plays host to the Russian national team and will be a key stadium when Russia hosts the world championship in 2018. The stadium boasts a cash-free concept zone powered by Microsoft Dynamics CRM in which all purchases are made through credit cards. Those who do not have a credit card are given the opportunity to open a new account right there at the stadium. Spartak also uses technology to better communicate with its 20 million fans across the region. To find out more about how Spartak Moscow is pushing the limits of innovation with its cashless zone check out this article in Russian. Or if interested in how CRM is helping Spartak connect with its fans you can view this article which is also in Russian.